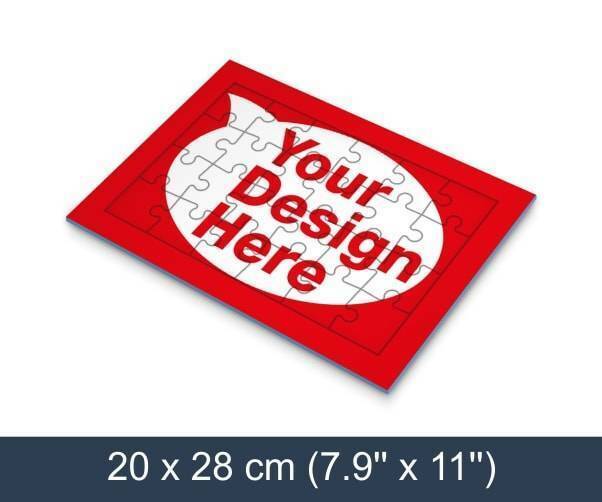 24 piece tray jigsaw puzzle can be personalised with your own artwork, design or text. Tray jigsaw puzzles offers the ability to print on both sides. Middle sized pieces ensure that the puzzle can be solved in short time! 24piece tray jigsaw puzzle will come shrink wrapped in PVC foil, which ensures that there is no need for a box. Tray jigsaw puzzles can be used widely, most commonly used as marketing and promotional material for companies, sports teams and agencies.